While we rejoice and give thanks to God for all He has done, we eagerly look forward to what He will do. Like the apostle Paul confessed in his personal pursuit of Christlikeness, we must forget what lies behind and strain forward to what lies ahead (Philippians 3:13)! 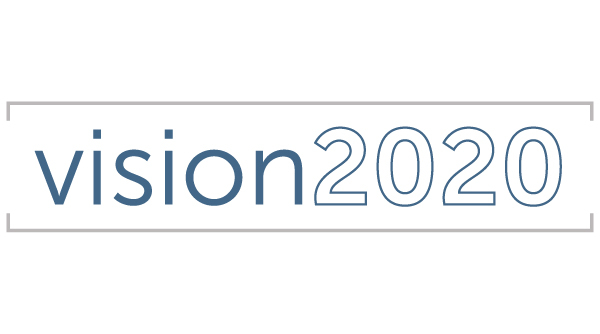 What does God have for the future ministry of Geist Community Church? In the year leading up to the 25th anniversary celebration the elders of GCC have prayerfully sought to answer that question – and the deeper we dug the more excited we became. We have identified three biblical commitments to exclusively, sacrificially, and wholeheartedly devote ourselves at GCC: Worship, Community, and Service. 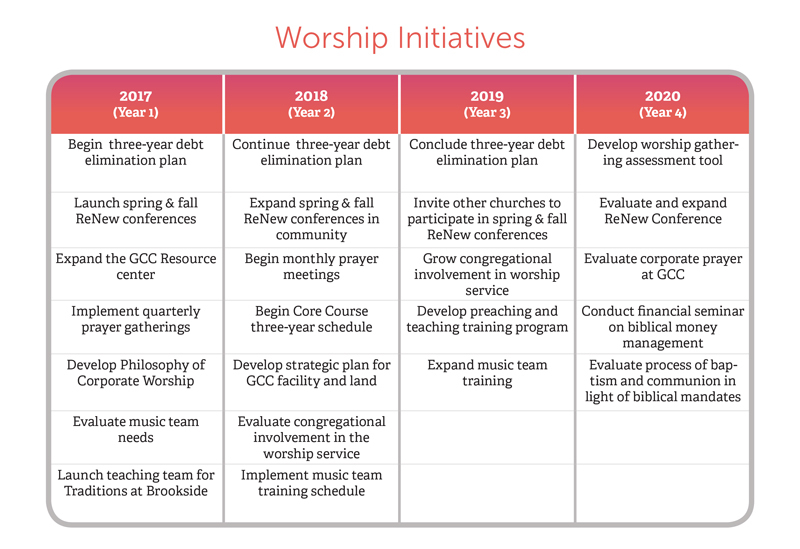 Using these three commitments to guide our vision for the future ministry of GCC – the elders have identified several major initiatives for the next four years (2017–2020) below. While not a comprehensive list, these major initiatives outline some strategic steps to keep us straining forward in ministry. What will your years of ministry at GCC look like? Both individual and corporate worship of the Triune God is the natural and necessary response of every person who has been redeemed through the grace and mercy made known in Christ. 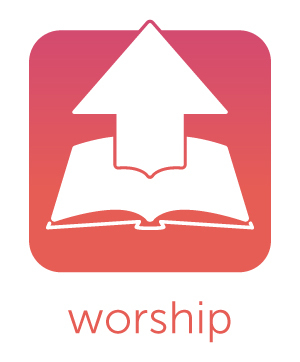 Worship of the church must be motivated and shaped by the character of God, who alone is worthy, as we strive to obey His commands, proclaim His glory, and promote His kingdom. Those who have been loved by God are compelled and empowered through the Holy Spirit to participate in the diverse community of the church through the unity of the Spirit in the bond of peace. The forgiveness, exhortation, service, and other expressions of love within the church ought to declare to the outside world the truth of Jesus. The church was created in Christ Jesus to do good works as the ambassador of Christ by promoting the glory of God and proclaiming the manifold wisdom of God. Thus, the church ought to sacrificially and generously use the time, talents, and treasure entrusted to our care by making disciples and modeling Christ-like compassion.